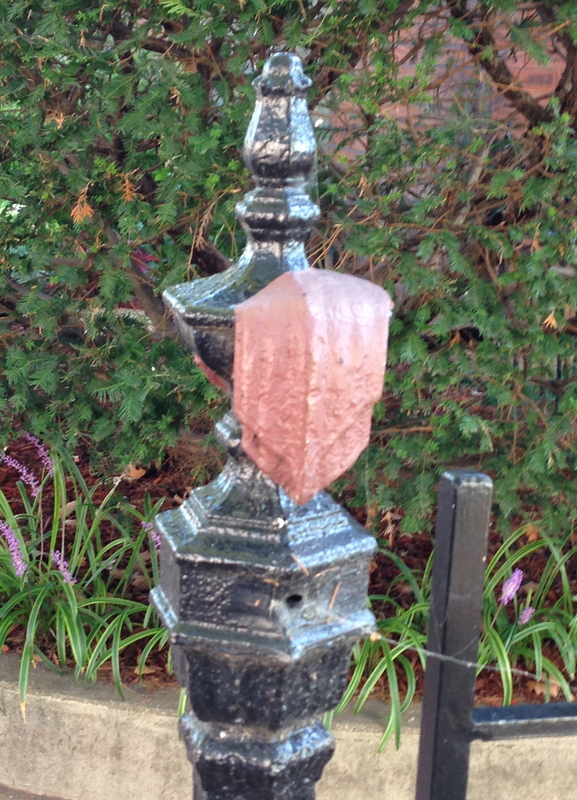 We’ll periodically post a close-up picture of something in town – you tell us where it’s located. Leave your guess in a comment below and we’ll reveal the answer in 24 hours. Update 9/15/2014: Well, that wasn’t that hard. 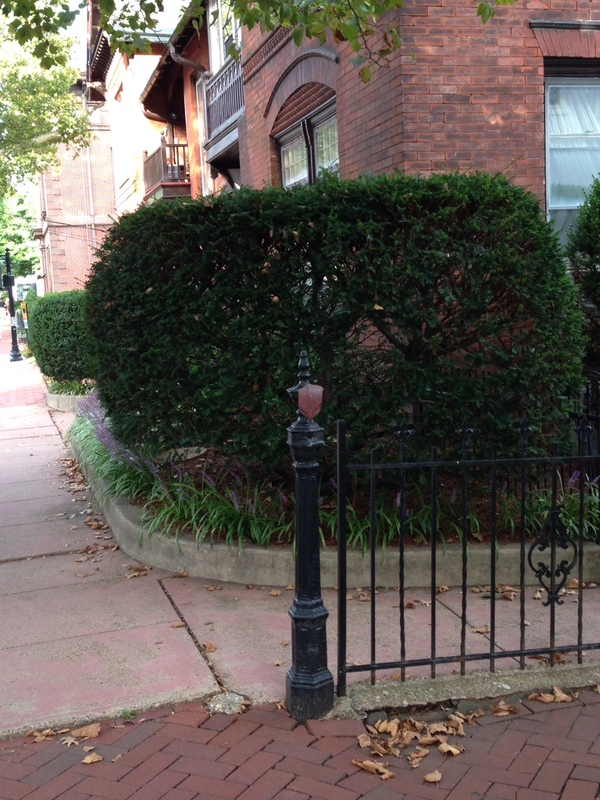 Congratulations to Mark Wade, Dave McGlynn, Gerri Walker-Mancini and Donna Moore McCloskey for correctly guessing this fencepost on the 200 block of Radcliffe Street. Thanks for playing! 2 Responses to Where in Historic Bristol Borough is this? Fence post at the Piccarillo residence on Radcliffe St.